João Bettencourt da Câmara was born in Lisbon on February 24 1988. After beginning studying piano with his father at the age of three, he was admitted to the Lisbon National Conservatoire, where he finished his piano course with the maximum mark. He attended many piano competitions, having been awarded prizes in all of them, such as Second Prize in Florinda Santos Piano Competition (1998), two-time First Prize in Cidade do Fundão Competition (1999 and 2000), First Prize in Maria Cristina Lino Pimentel Competition (2001); in 1999, he was chosen by the board of directors of the Lisbon National Conservatoire to participate in the second edition of the “Veo Veo” International Competition, hosted by TVE (the main Spanish television and radio broadcaster) in which he received the Jury’s Special Prize, after facing candidates of thirty other countries. João gave his first recital at the age of seven, followed by numerous other performances in Lisbon, Porto, Madeira and the Azores Islands. After his first appearance as a soloist at the age of 11 with Mozart’s Piano Concerto in A major K. 414, he has performed with Portugal’s leading symphony orchestras, playing such repertoire as Beethoven’s Piano Concerto no. 3, Grieg’s Piano Concerto in A minor, Gershwin’s Rhapsody in blue, Mozart’s Piano Concerto no. 20 in D minor, Beethoven’s Piano Concerto no. 5 “Emperor”, Liszt’s Piano Concerto no. 2 and Rachmaninoff’s Piano Concerto no. 2. 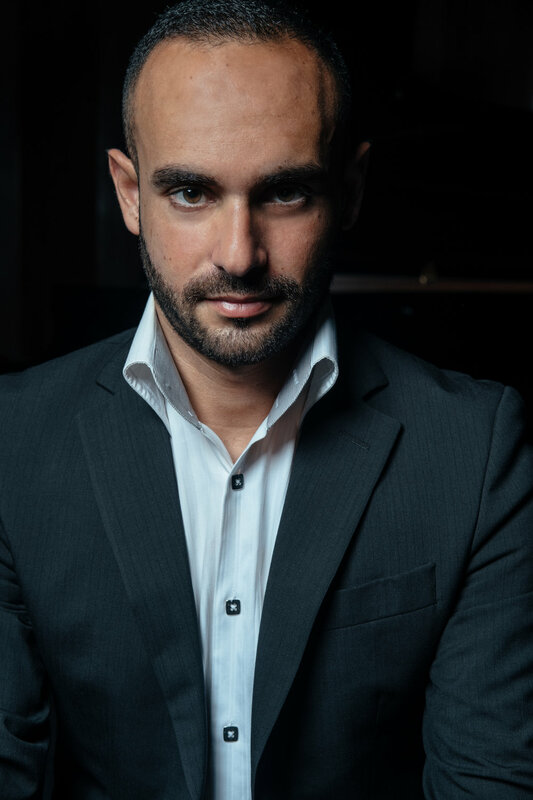 Since the age of ten, João has worked with world-renowned pianists, such as Vladimir Viardo, Helena de Sá e Costa, Tânia Achot, Pedro Burmester, Sequeira Costa, Artur Pizarro, Barry Douglas, Dmitri Bashkirov and Aldo Ciccolini. After hearing João’s playing for the first time, Ciccolini said: “Il est monstrueusemement doué”. In 2005 he applied to three music colleges in London: the Guildhall School of Music and Drama (City University London), the Royal Academy of Music (University of London) and the Royal College of Music. He chose to continue his studies at the RCM with Ruth Nye (MBE), a former pupil of Claudio Arrau and one of the world's foremost piano teachers. He was a scholar of the Calouste Gulbenkian Foundation and the Royal College of Music from 2006 to 2010. He graduated in 2010 as that year’s best student, obtaining 93 out of 100 (a historically high mark for the final recital of a piano degree). In September 2012, João graduated from the Guildhall School of Music and Drama, where he finished his Masters degree with Distinction as a student of Martin Roscoe and having held scholarships from the Noswad Charity, the Stanley Picker Trust and the Hilda Anderson-Deane Trust. He holds a position as a piano professor at Universidade de Aveiro, where he finished his Doctorate degree with Distinction, in July 2017. João's first international tour took place in June 2007, in the United States of America, having performed in Washington D. C., Providence and Boston. 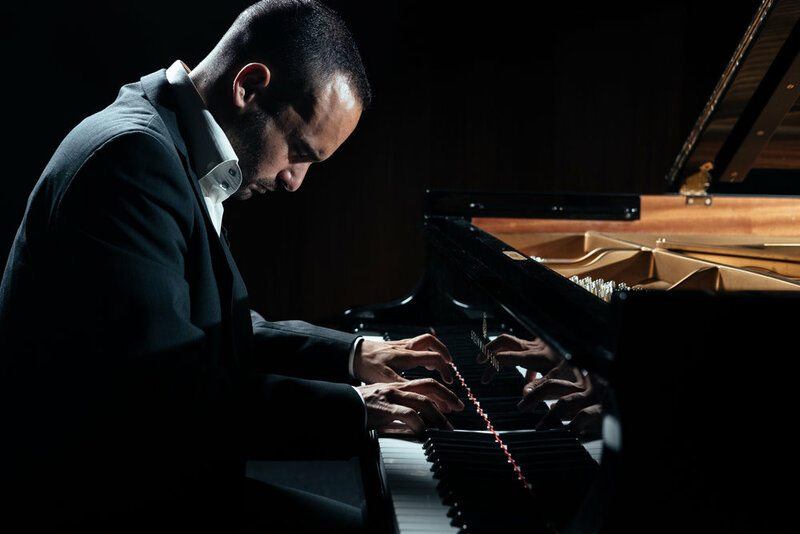 After hearing his performance in Washington, Stephen Neal Dennis, of the All Arts Review magazine, wrote: "History was made last night at the Portuguese Ambassador’s Residence in Washington when the concert by young Portuguese pianist João Bettencourt da Câmara ended. Having heard extraordinary performances of music by Bach, Brahms and Beethoven, the audience rose spontaneously for a standing ovation for a pianist few had ever heard of previously. (…) Only 19, Bettencourt da Câmara possesses a fearsome technique, something that has become so routine a component in concerts by younger pianists that audiences almost yawn when promised something spectacular. What is unexpected is the emotional depth of personal involvement that this pianist brings to each piece he plays. For a generation that never knew the young Sviatoslav Richter, one is forced to wonder how much more Richter himself could give at the age of 19”. His latest appearances included performances of Mozart’s Concerto in D minor and Rachmaninoff’s Piano Concerto no. 2, a solo recital that marked the opening of the piano cycle of Casa da Música (Porto) and other appearances in the Calouste Gulbenkian Foundation (Lisbon), France, the United States of America and the United Kingdom. João also took part in the Filarmonia das Beiras Orchestra’s complete Beethoven symphonies and concerti series, performing the composer’s Piano Concerto no. 5 “Emperor” in 2012, the same orchestra's complete Brahms series, playing the composer's Piano Concerto no 2. in 2014, as well as the "Emperor" concerto again, in the Orquestra do Sul's complete Beethoven concerti cycle. In 2012, João continued to perform in Portugal, the United Kingdom and the United States of America. His last USA tour included the premiere and recording of Bernard Scherr’s “The paintings of João de Brito. In July 2012, he took part in the Euroclassical Festival of Santander, performing two solo recitals. His debut CD, recorded for the Numerica label and dedicated to works by Franz Liszt, was released internationally in December 12. In 2015 and 2016, João gave a solo recital in Casa da Música (Porto), as well as performing Rachmaninoff’s Piano concerto no. 2 with Orquestra Sinfónica do Porto Casa da Música, conducted by Takuo Yuasa, and João Domingos Bomtempo’s Piano concerto no. 2 and Luís de Freitas Branco’s Ballade for piano and orchestra with the Venezuela Symphony Orchestra and conductor César Iván Lara in Caracas’ Teresa Carreño hall, live recorded for a CD release.